A dream kitchen is different for everyone. The ideal workspace depends on the layout as well as design style. Check out these 45 dream kitchen pictures to get inspired for your remodel. 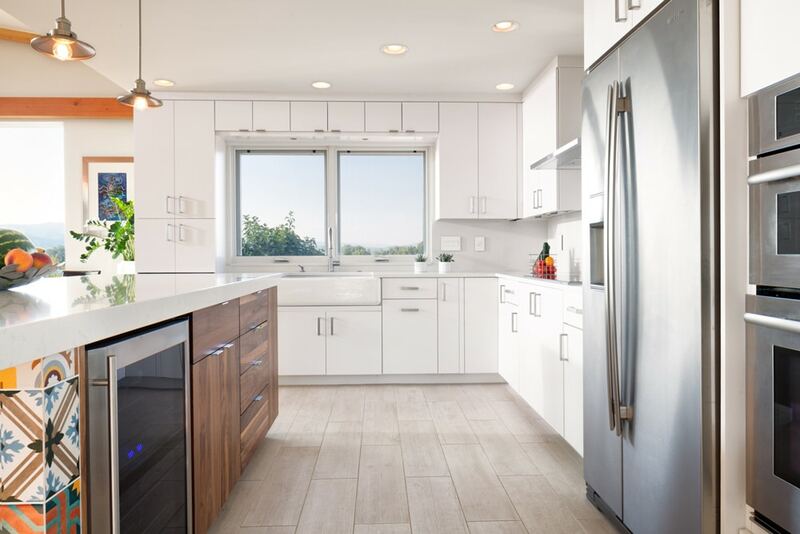 With everything from ultra modern to old world, and everything in between, one of these gorgeous kitchens could be the one for you. 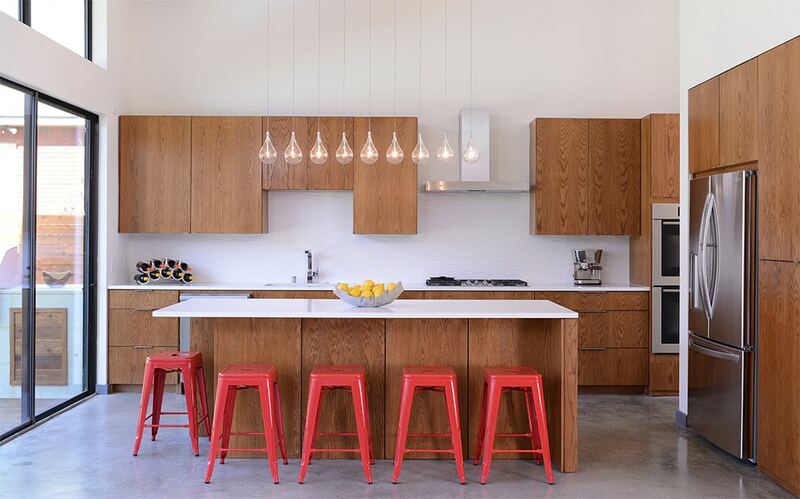 This modern and minimal kitchen gets texture from wood grain cabinets and pops of interest from red stools and a row of nine light bulbs over the island. 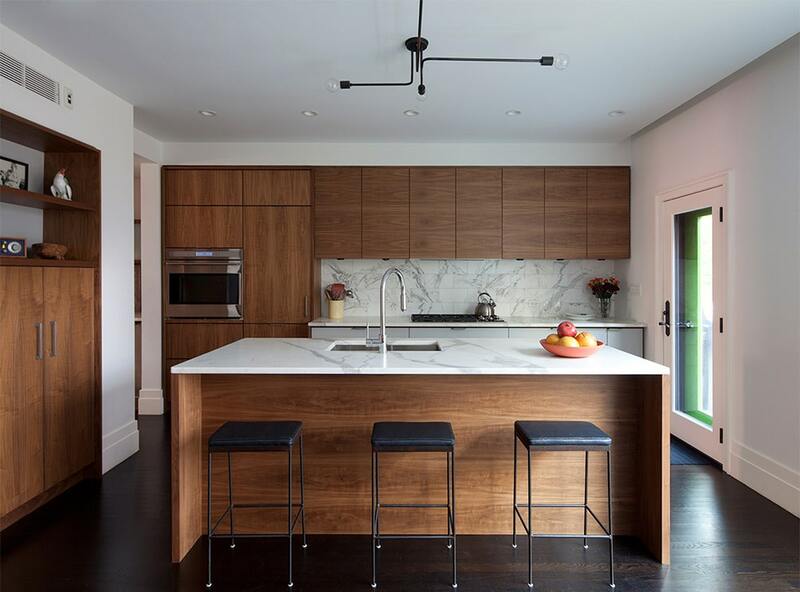 With wood grain and granite marbling, this modern kitchen is all about natural textures. It’s a simple look that will stand the test of time. Light wood cabinets with a open shelving gives this modern kitchen a rustic feel. The custom island combines a dark counter for food prep with a wooden counter for eating. Along with an artisanal cast iron AGA range, this minimal kitchen gets a rustic feel from unfinished wood cabinets and wall and cement floors. 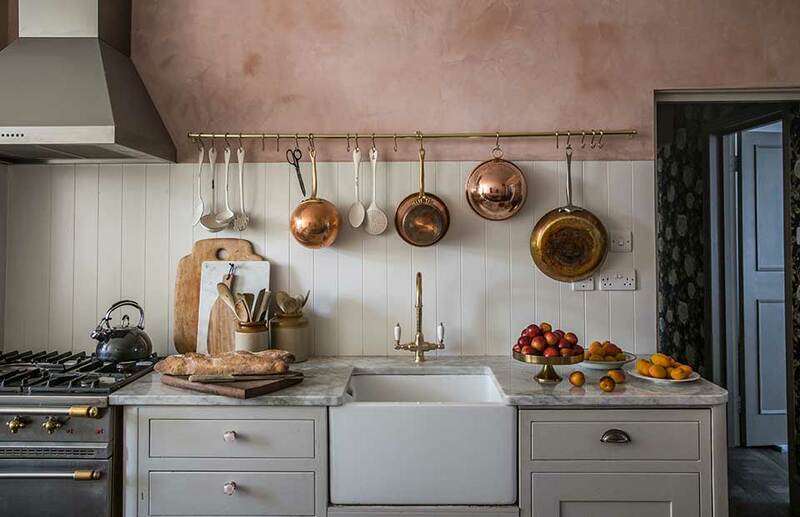 Details like the copper faucet, vintage cutting boards and country pictures complete the look. 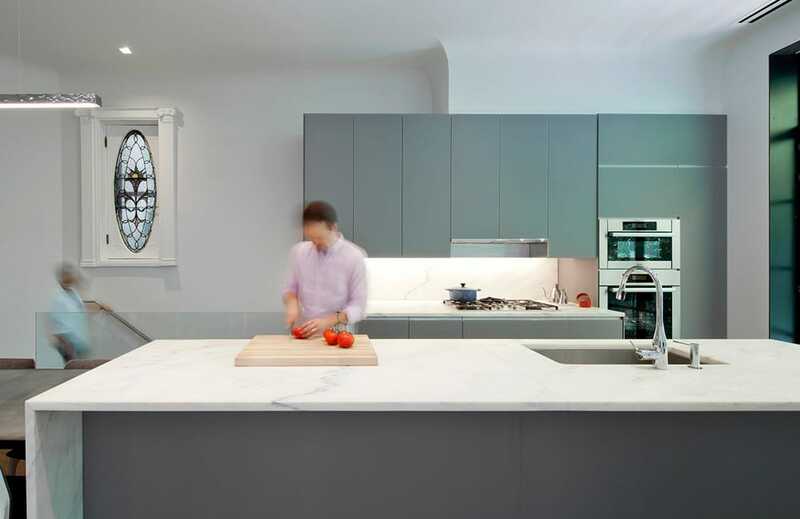 This open kitchen design is not your usual galley layout. 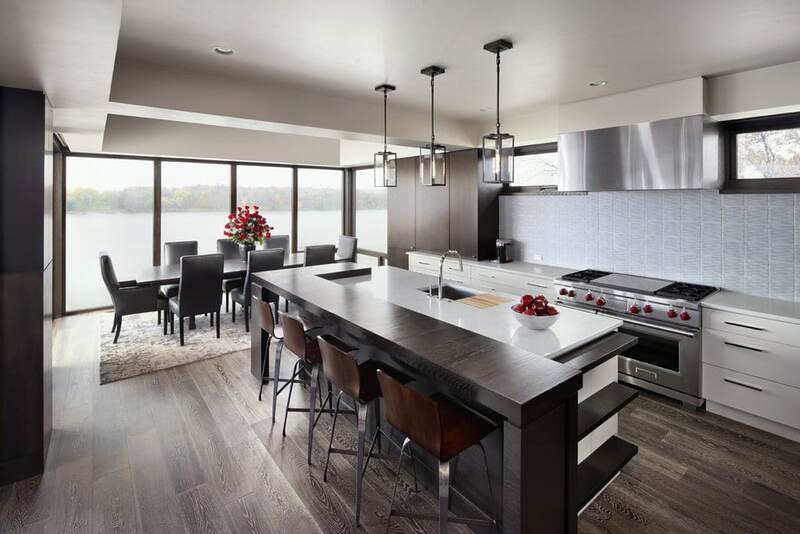 Instead of turning your back on the action and gorgeous view, this version uses an island for counter space and floor-to-almost-ceiling cabinets. An attached island with plenty of seating makes this peninsula kitchen perfect for cooking while entertaining kids or guests. 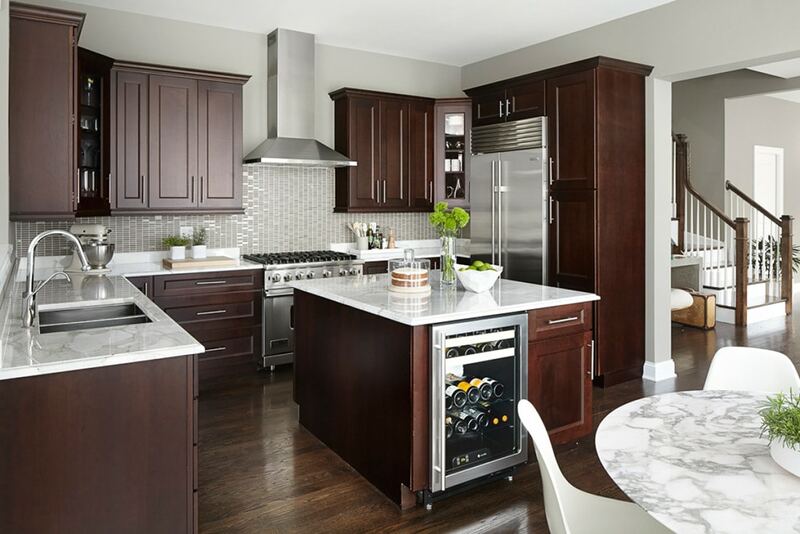 The white island is ultra modern while warm cabinets with raised panel doors bring in a traditional look and feel. This all white one-wall kitchen features a 6″ granite backsplash as a focal point. The white table and chairs makes the eating area seem like part of the kitchen. A kitchen window adds a view but can take away precious storage space. 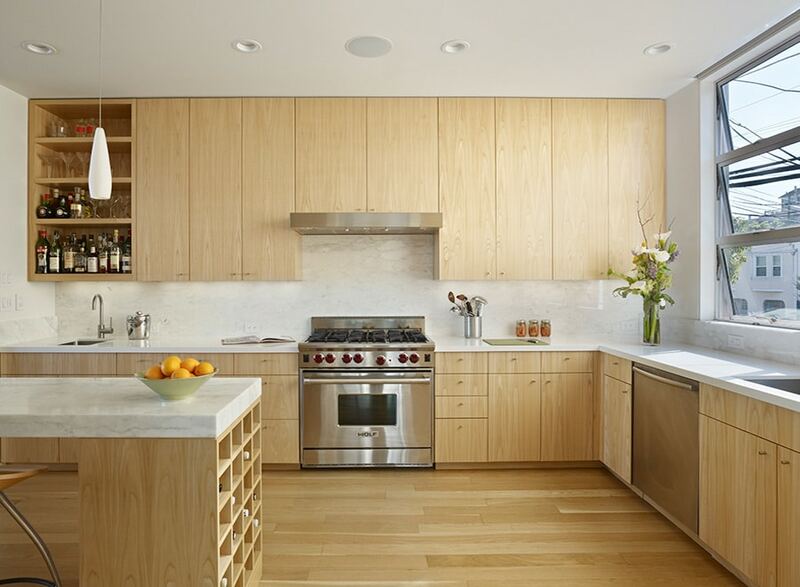 This contemporary kitchen gets maximum storage capacity from floor-to-ceiling cabinets, even above the window. 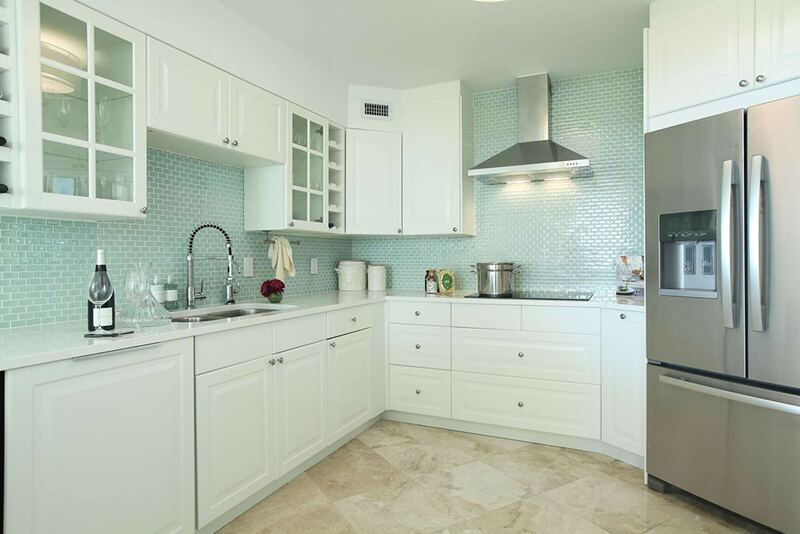 A contrasting island with bold tiles adds color to an otherwise neutral color palette. This custom L-shaped kitchen island with a waterfall leg provides ample counter space as well as a seating area. For an open plan, this is a great way to connect the kitchen with the living area. 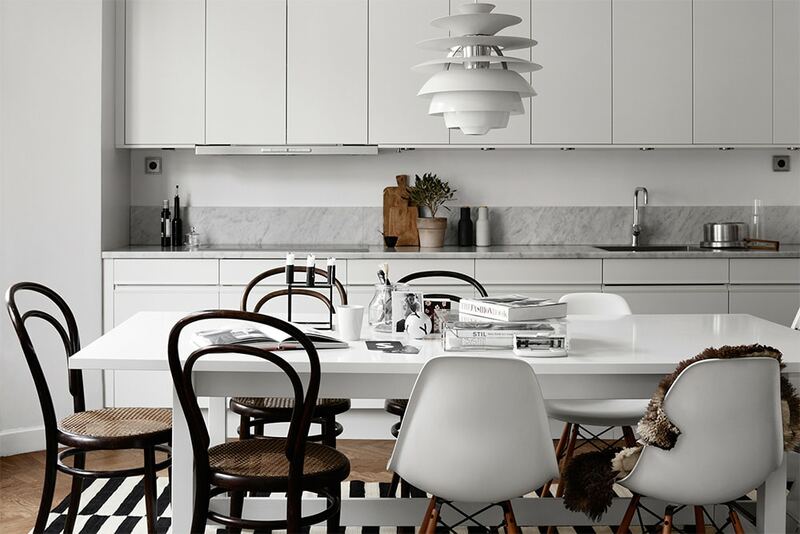 All white kitchens never go out of style. 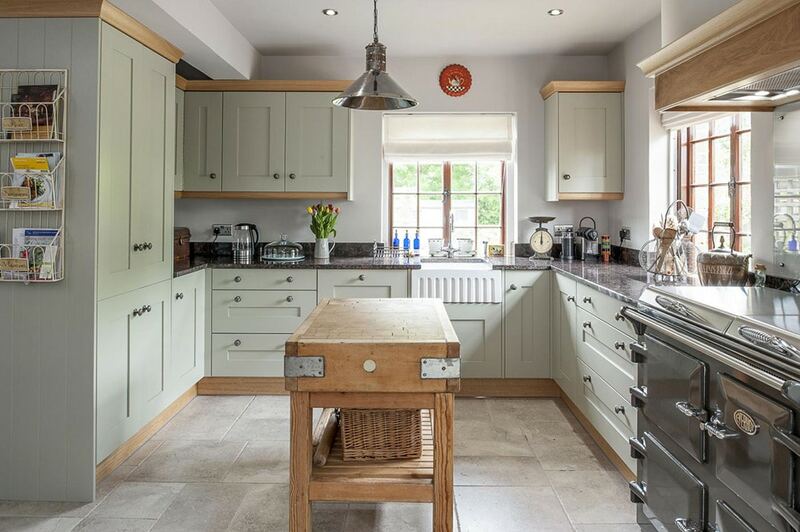 This light and airy design features country kitchen charm and rustic furniture. 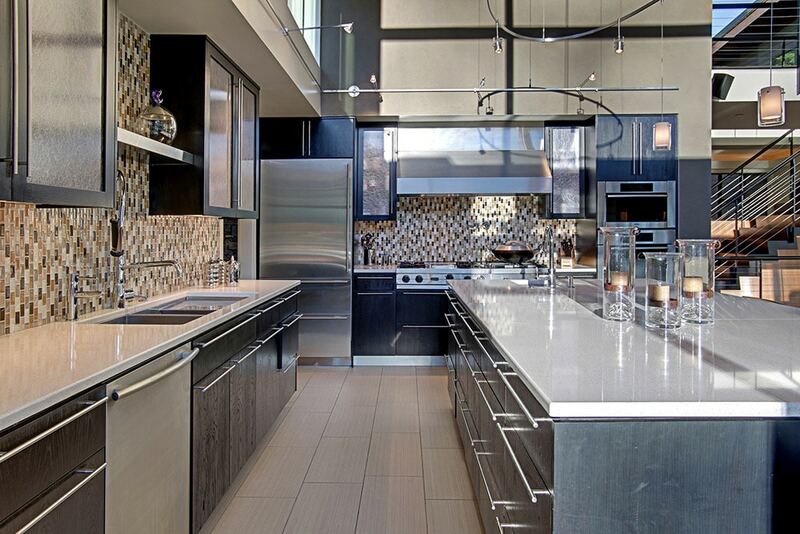 A luxury kitchen is first about the materials and second about space. 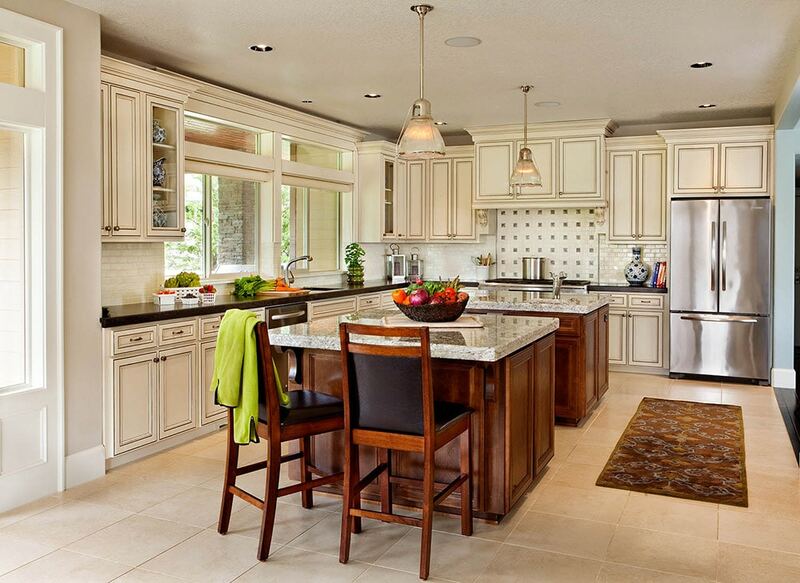 This dream kitchen has both with custom cabinets, granite countertops and two kitchen islands lit by chandeliers. 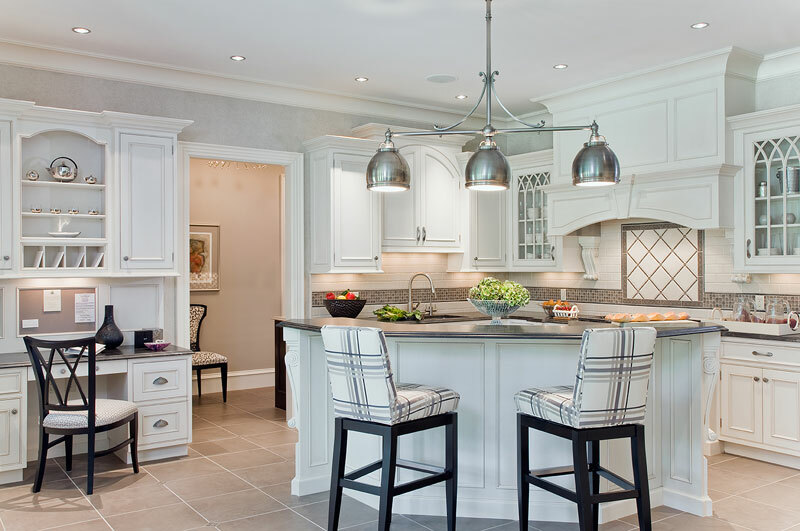 With traditional cabinetry, hardware and lighting, this classic kitchen is bright and cozy. A yellow wall, olive tiles and and a retro lamp create a sunny warmth, whatever the weather. 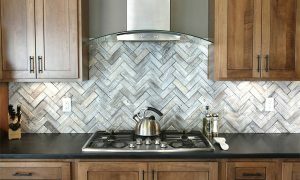 For easy to clean walls, skip the backsplash and go for all over tile. 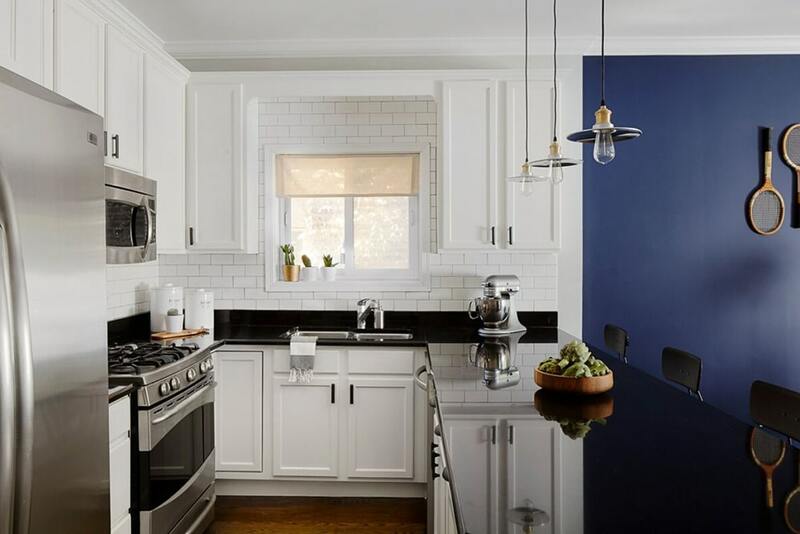 This glass subway tile bring in color and texture to this otherwise white kitchen. White counters and neutral floors lighten up this kitchen with dark cabinets. Multi-colored subway tile wall run vertically instead of the more common horizontal orientation. 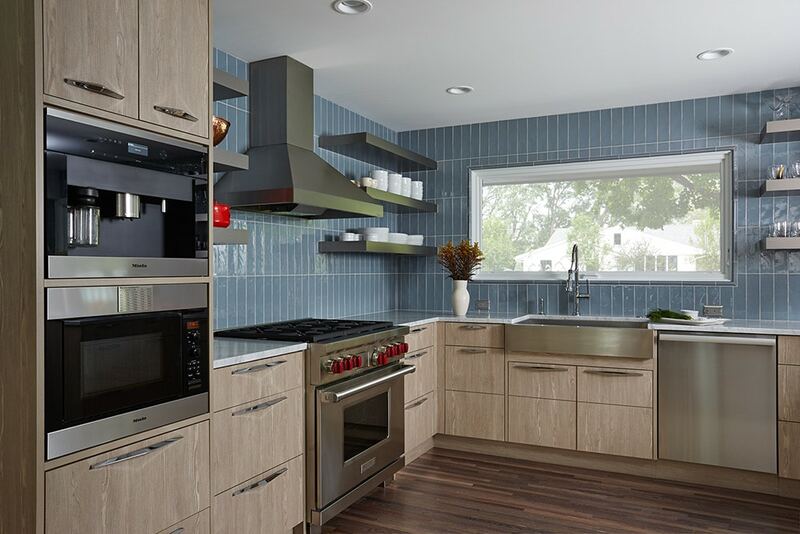 These blue tiles add a pop of color to this kitchen without being overwhelming. 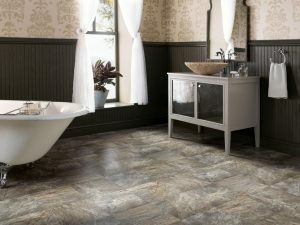 The glossy tiles reflect light while the vertical orientation adds a sense of height to the room. This is a simple and inexpensive way to do something different with your kitchen remodel. 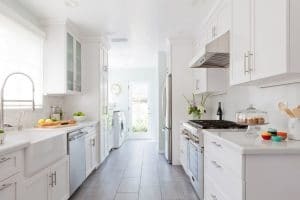 This fabulous kitchen is almost all white but not at all boring. 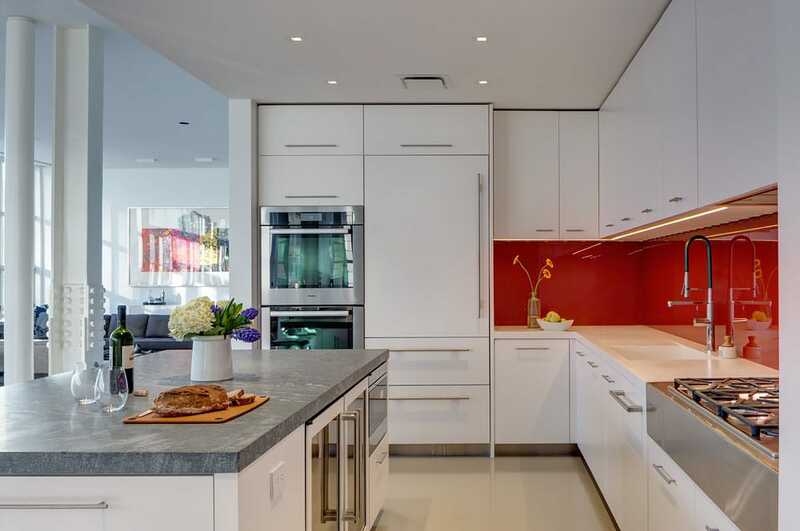 A glossy red wall and grey granite island counter bring color and texture to this ultra modern design. 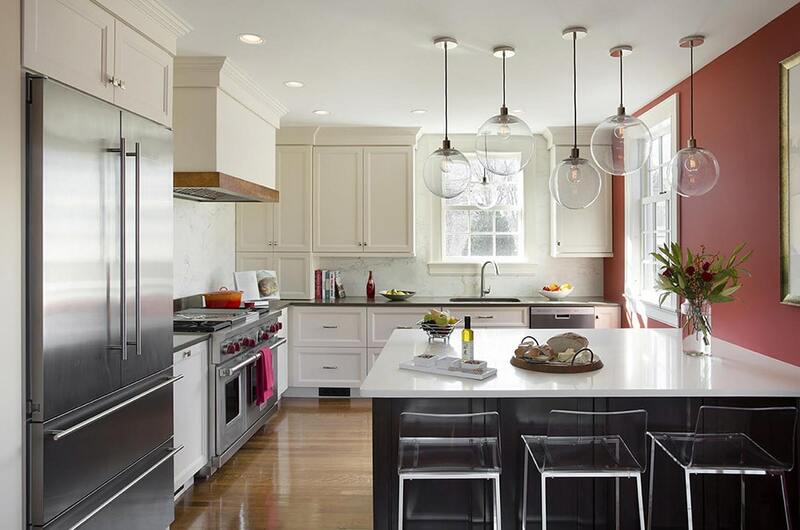 For older homes, kitchens may be small or oddly-shaped. This petite kitchen with a triangular layout makes the most of available space with a pass-through island and strategically placed appliances. Classic features plus homey touches ensure that this kitchen is the heart of the house. 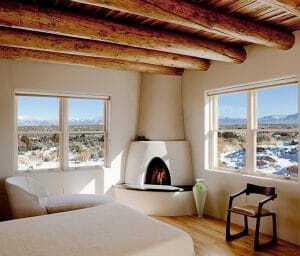 The open design features a wood-topped island with seating and continuous wooden floors. 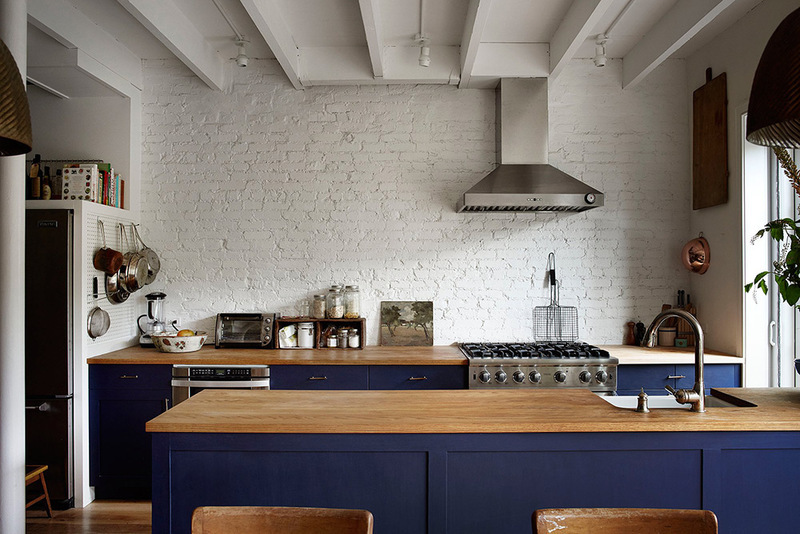 This muted blue is a classic color for a country kitchen. An apron sink, wood countertop and rustic lighting plus accessories like a turned wood fruit bowl, unfinished cutting boards and wicker basket complete the look. Without the recommended clearance for an island, a moveable piece adds counter space and storage without commitment. This butcher block island is a statement piece for this Shaker kitchen and emphasizes the wood detailing around sage green cabinets. Instead of continuing the surrounding cabinets and counters, a kitchen island can be a unique piece that makes a statement. 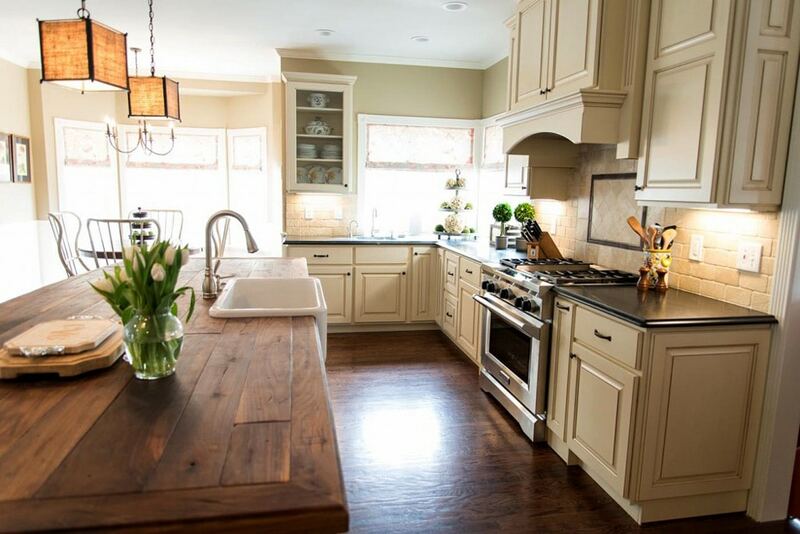 This wood-topped island with an apron sink adds a rustic touch to a country kitchen design. 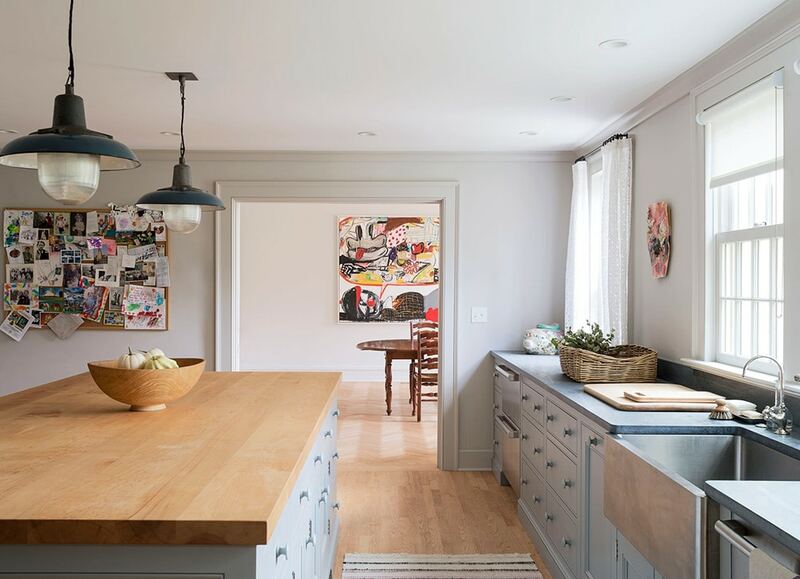 This lovely galley kitchen applies rustic finishes and colors to modern lines. Adding an island for storage instead of above-the-counter cabinets allows the patina of painted brick to shine and keeps this space bright and open. 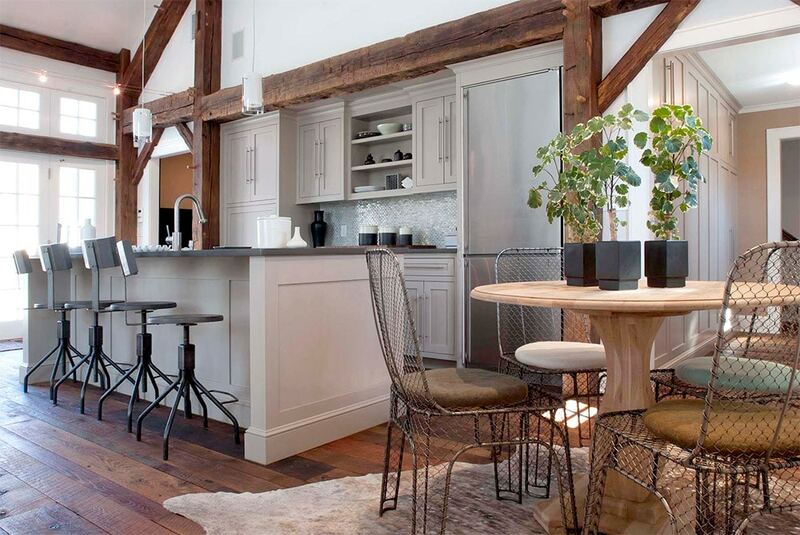 While not achievable in all homes, wood beams are the ultimate feature in rustic kitchens. 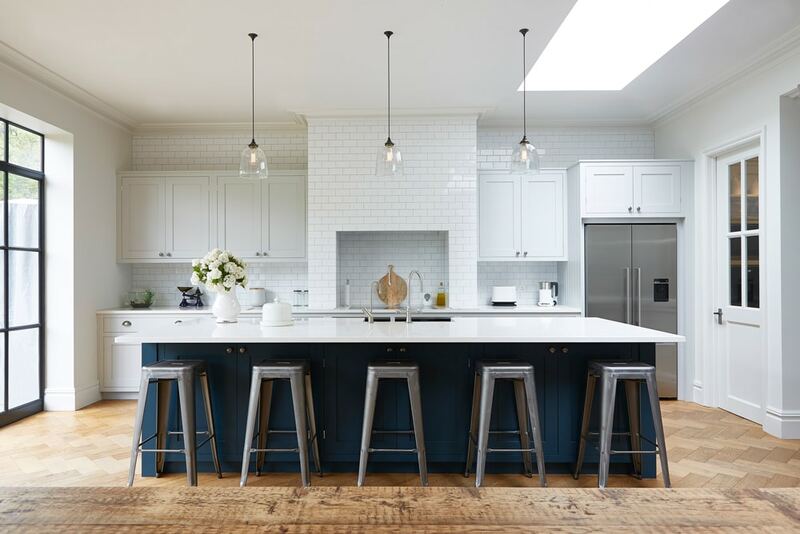 This version gets all the details right with white cabinets, dark flooring and metal stools and chairs. 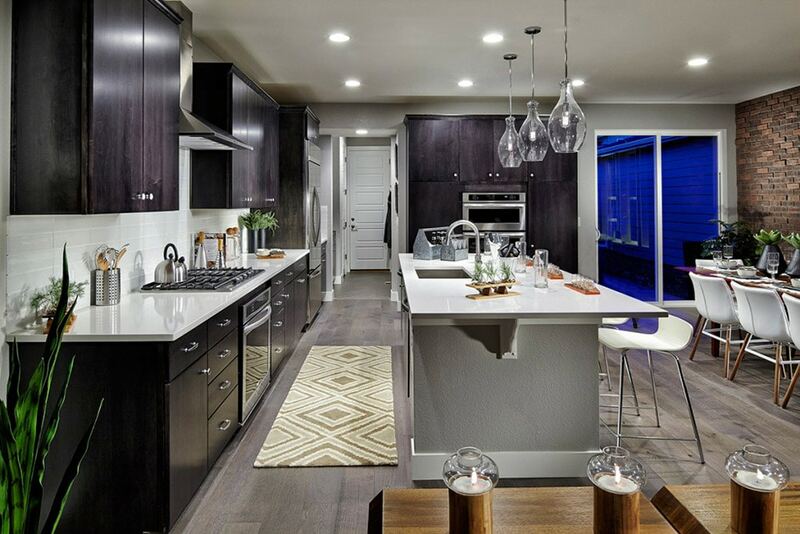 This stunning kitchens features bold color, ample texture and rustic wood accents. 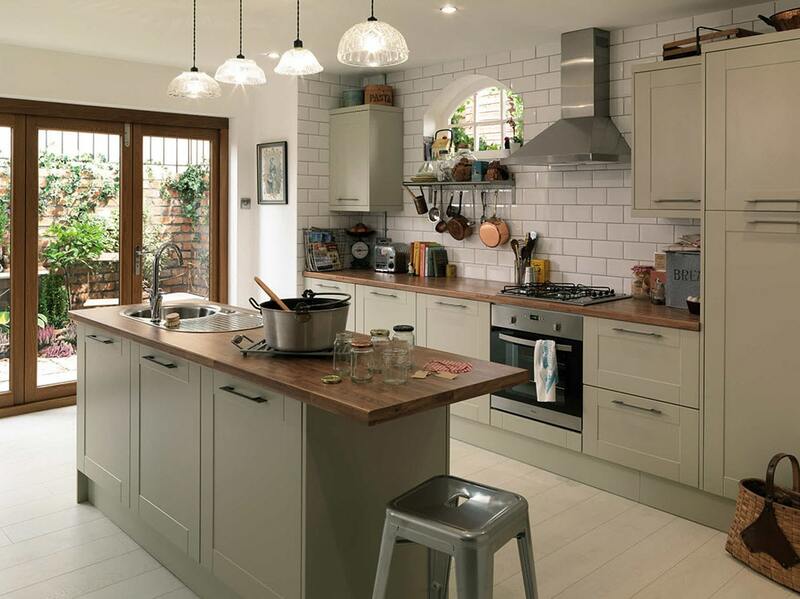 Simple Shaker-style cabinets can be used in a range of design styles. For those living in the mountains or with cabin-style architecture, the kitchen needs to mesh with the house’s woodwork. Here the custom cabinets continue the vaulted wooden ceiling. Two islands provide plenty of space to work and sit. This galley kitchen makes the most of limited space. A wall-mounted rack keeps small pots at the ready while the island doubles as counter space and a table. While modern kitchens often opt for light or even unfinished wood, dark cabinets can also look fresh. 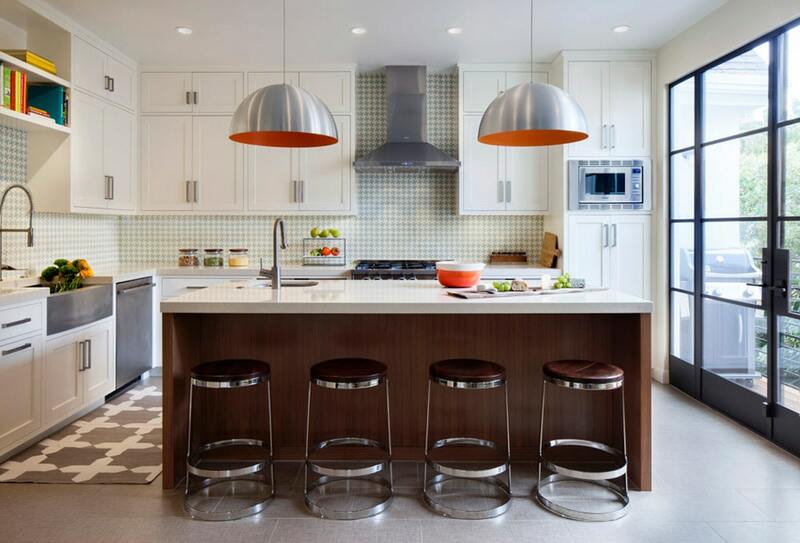 Even with dark wood flooring, this contemporary kitchen is plenty bright thanks to shiny granite counters, stainless steel appliances and almost silver subway tile walls. 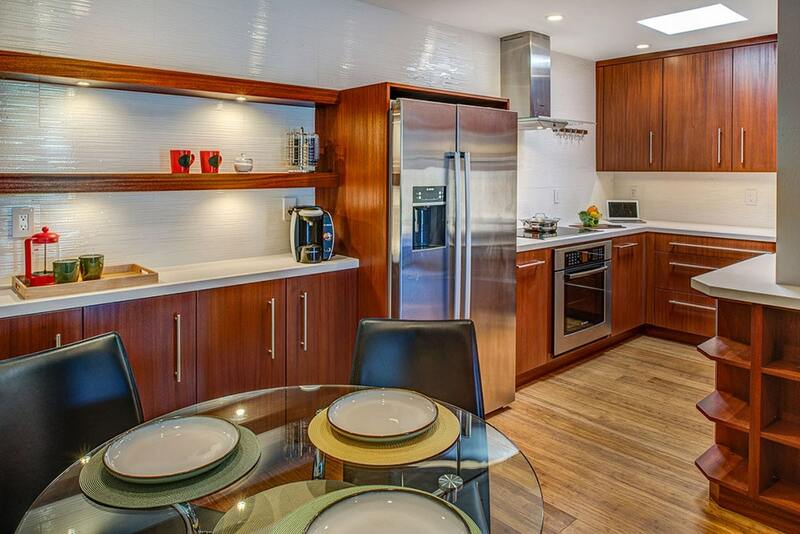 White walls and counters play up the warm hue of cherry cabinets in this contemporary kitchen. 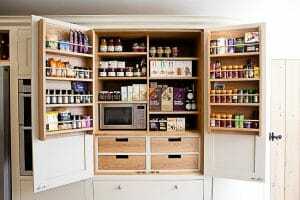 Custom woodworking surrounds the fridge and provides display space in addition to ample storage. 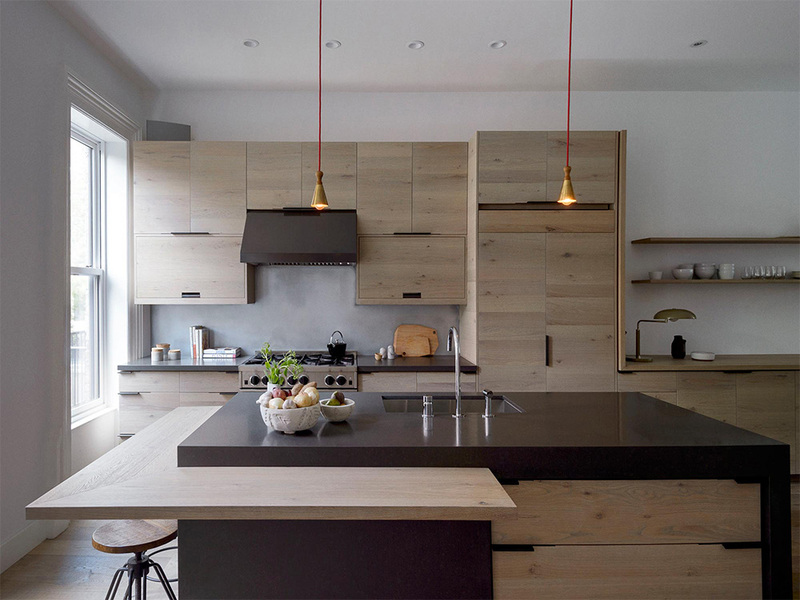 There is no rule stating that cabinets or countertops need to be all one material or color. 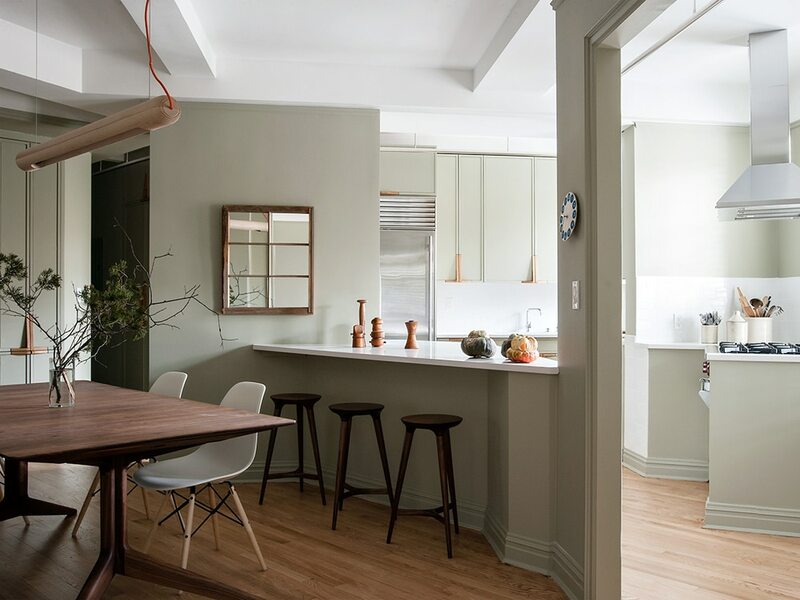 Mixing and matching can lighten up a kitchen and customize workspace to your needs. 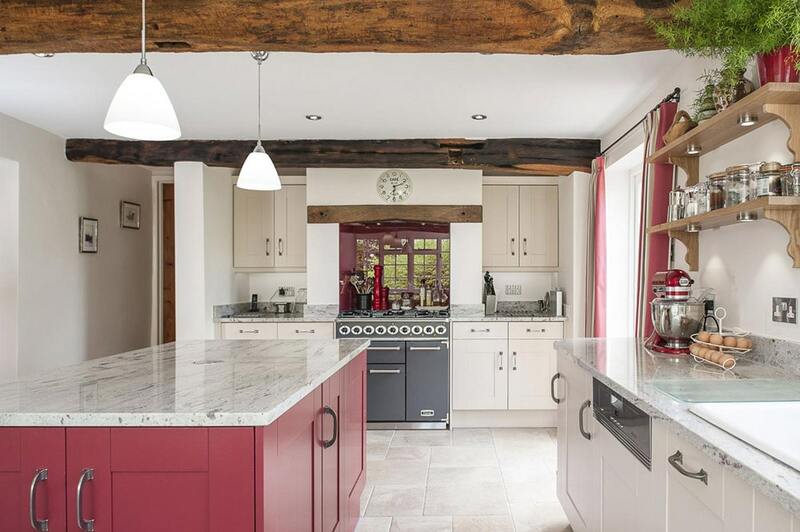 This traditional kitchen combines white and dark cabinets that match the wood beams on the ceiling. This traditional kitchen matches wall counters with the stove backsplash while opting for a totally different look for the pair of kitchen islands. Using a different counter and wood for the island is an easy way to incorporate multiple colors and surfaces into your kitchen design. 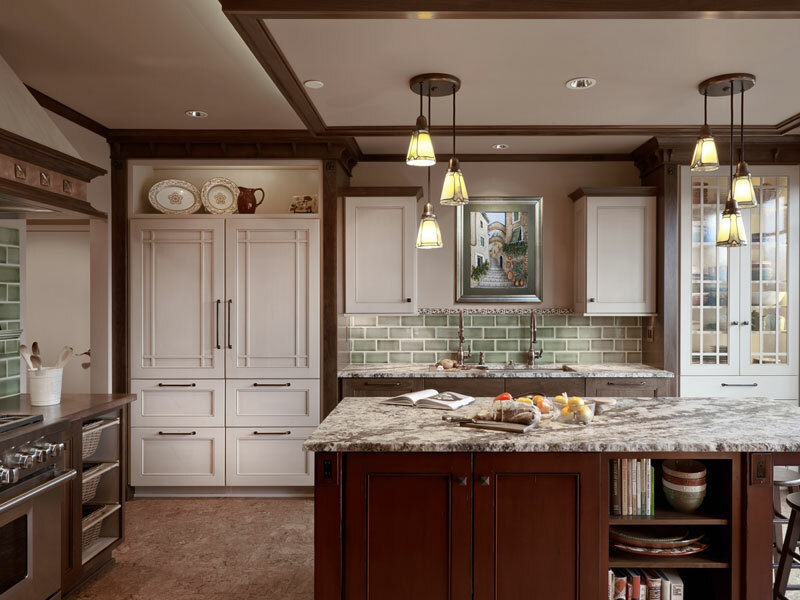 Detailing on the cabinets and tile work give this luxury kitchen an old world feel while stainless steel lighting and an abundance of white lend a contemporary finish. 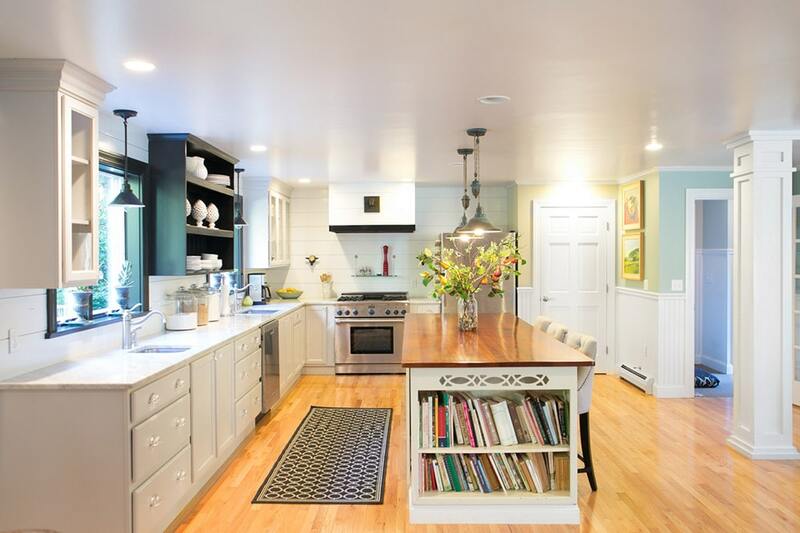 This unique kitchen also features a custom wedge-shaped island and built-in desk. This neutral kitchen shows that a palette of white, black and grays can be anything but boring. 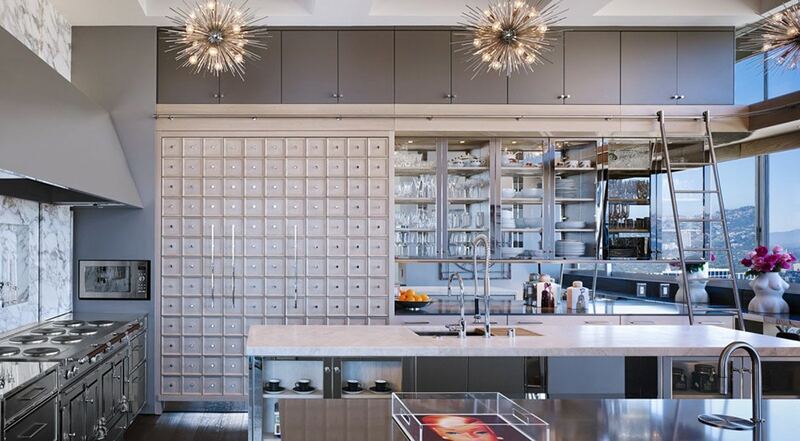 In addition to high end materials, floor-to-ceiling cabinets give this kitchen a luxurious look and feel. Traditional does not mean old-fashioned! 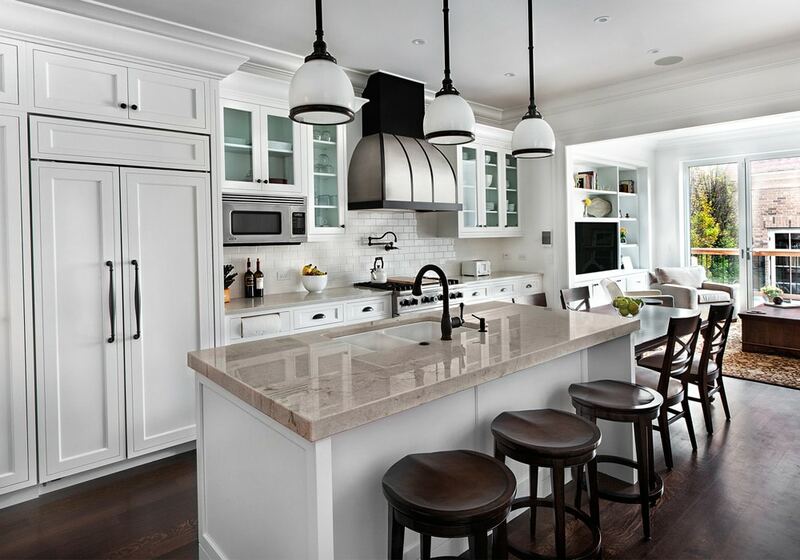 This beautiful kitchen features white cabinets with black accents offset by neutral counters. The two-level island features bar seating for stools and an attached table with chairs. 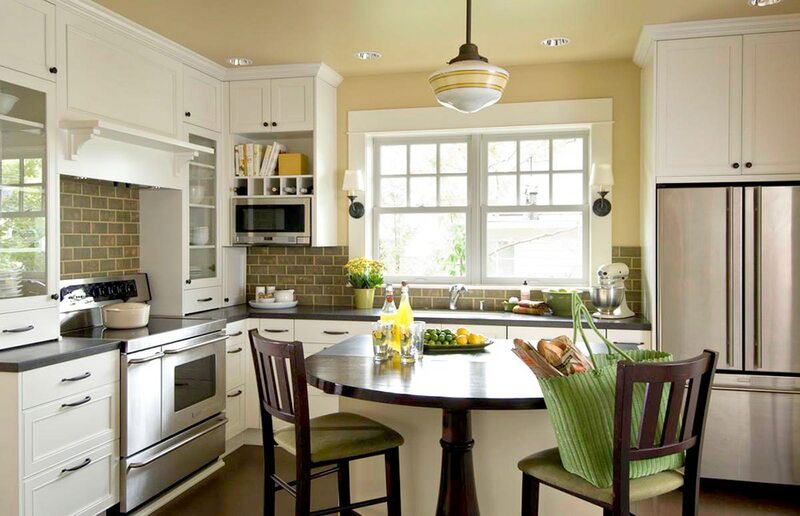 Transitional kitchen designs feature the best of traditional and modern styles. 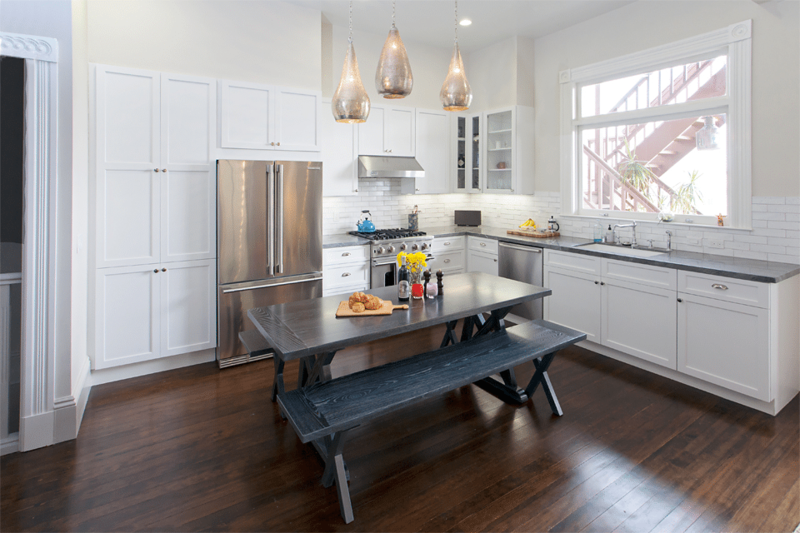 Here a luxury kitchen and casual picnic table are tied together with the same overhead lighting. Transitional kitchens frequently combine more traditional cabinetry, such as those with raised panel doors, with modern features. This design does just that, opting for a modern island with acrylic chairs and a series of cool globe lamps that showcase Edison bulbs. If you don’t want or need the additional counter space and storage than an island offers, consider an eat-in kitchen instead. 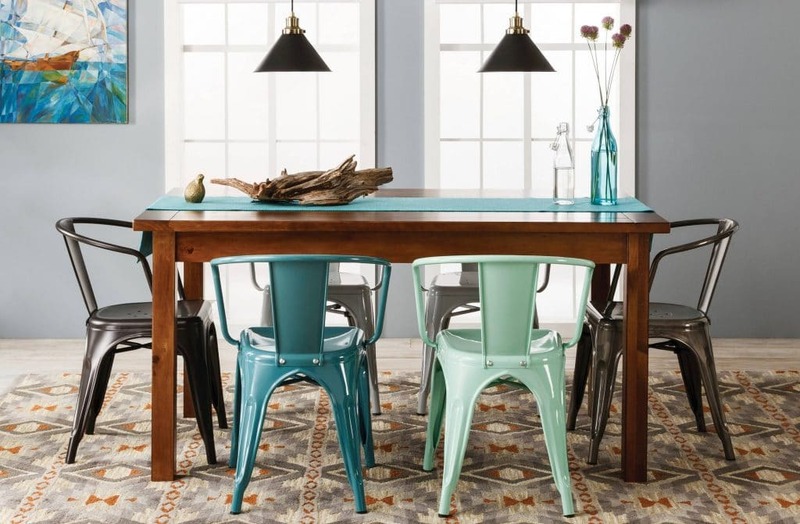 A picnic table with a cool blue wash keeps meals casual and fun. While not the most common design style, eclectic kitchens are the most fun. This unique design brings in bold color and texture without getting overwhelming. While the blue houndstooth walls look like wallpaper from a distance, they are actually tiles. For specific needs or nonstandard dimensions, custom cabinets make the most of your kitchen, even when space is not limited. 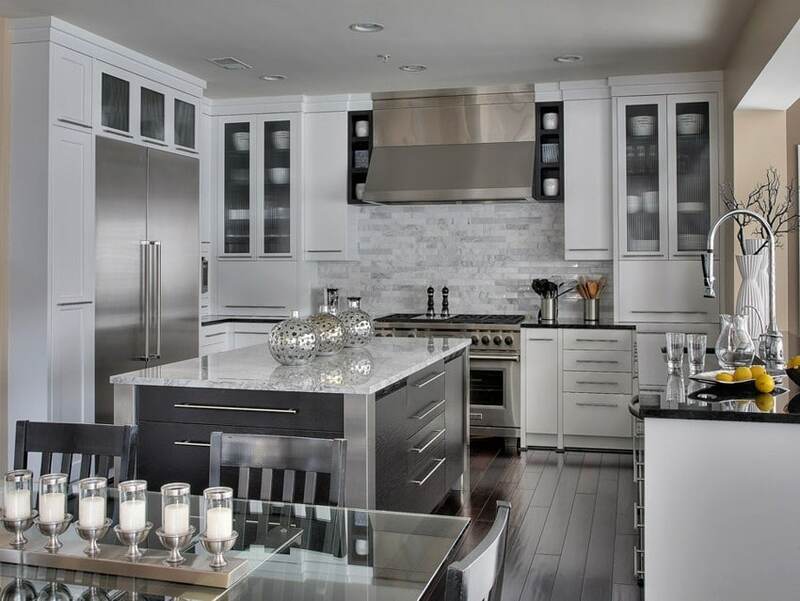 This luxurious kitchen features granite walls, professional appliances, modern chandeliers and gorgeous custom cabinets. With extra high ceilings, a rolling ladder provides access to top shelves. 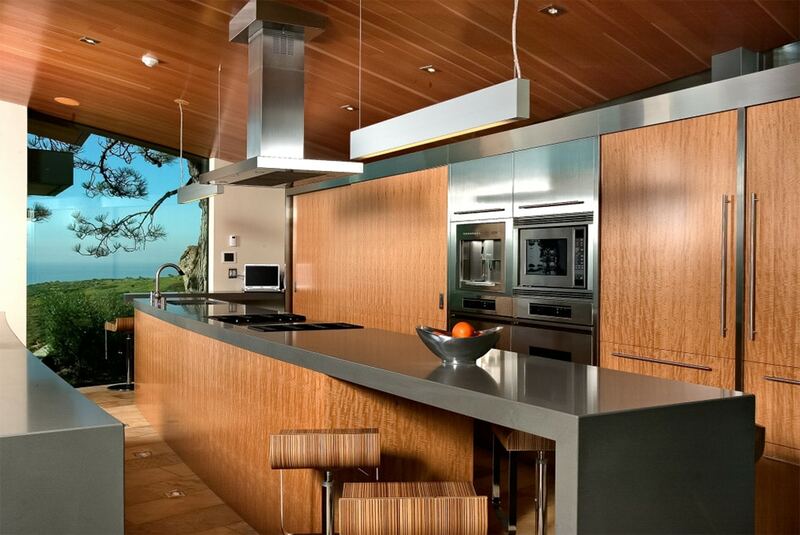 This understated kitchen uses an open plan galley layout to preserve the stunning view. 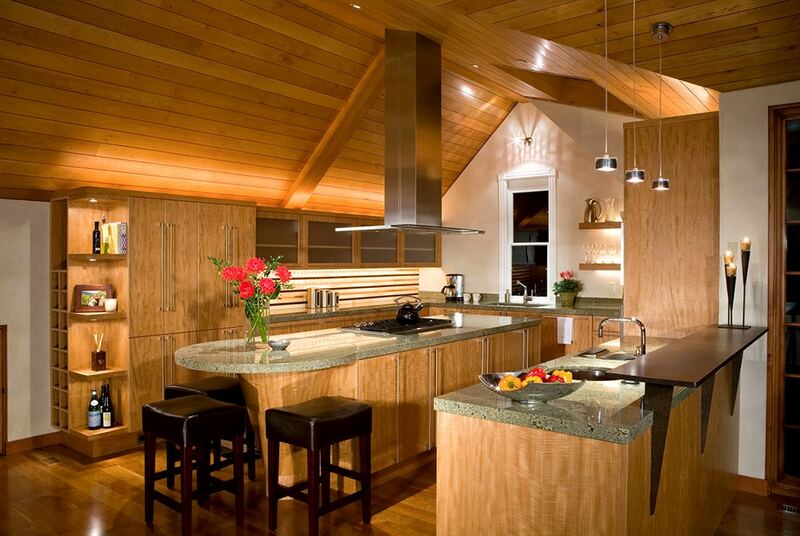 The custom island uses two levels to demarcate work and eating space. An open kitchen plan keeps a kitchen bright and makes sure the cook is part of the action. 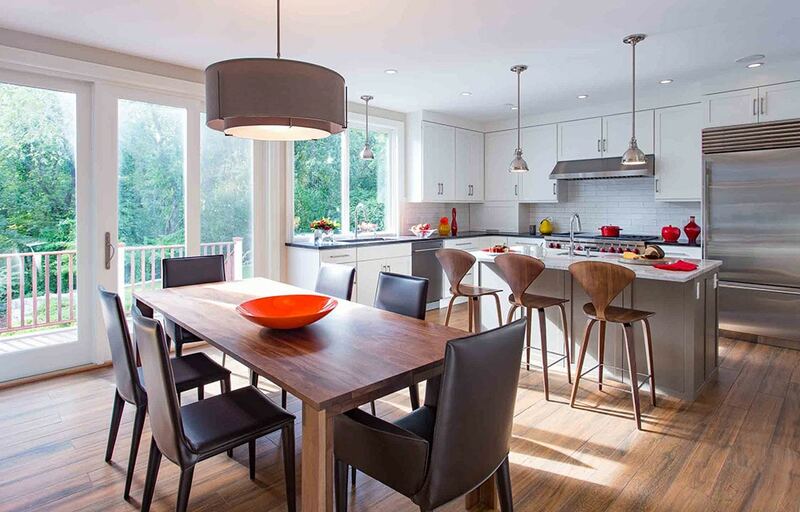 This island serves as a transition to the dining area, with stools for quick meals. A peninsula kitchen with an attached island can create a semi-open kitchen when a fully open plan is not possible or desired. 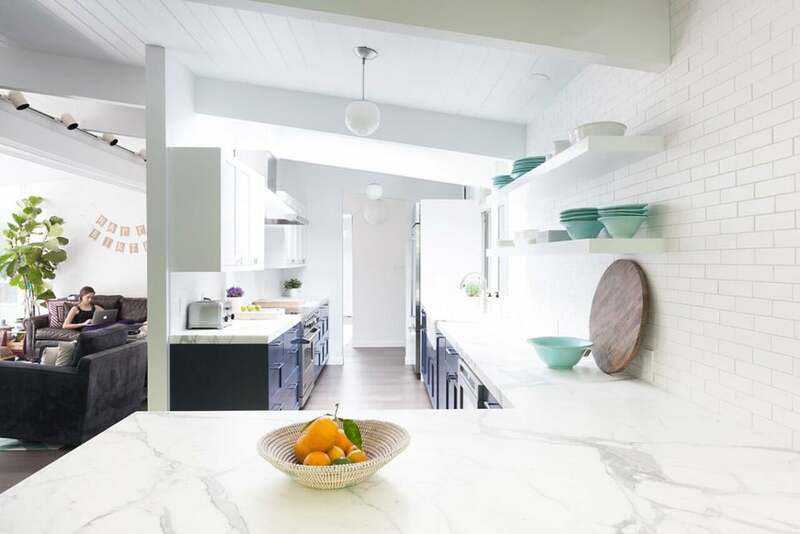 This gorgeous design features Carrera marble, white tile walls and open shelves displaying gorgeous robin’s egg blue dishes. Dark cabinets below the counter and white cabinets above keep the kitchen ultra light and airy. 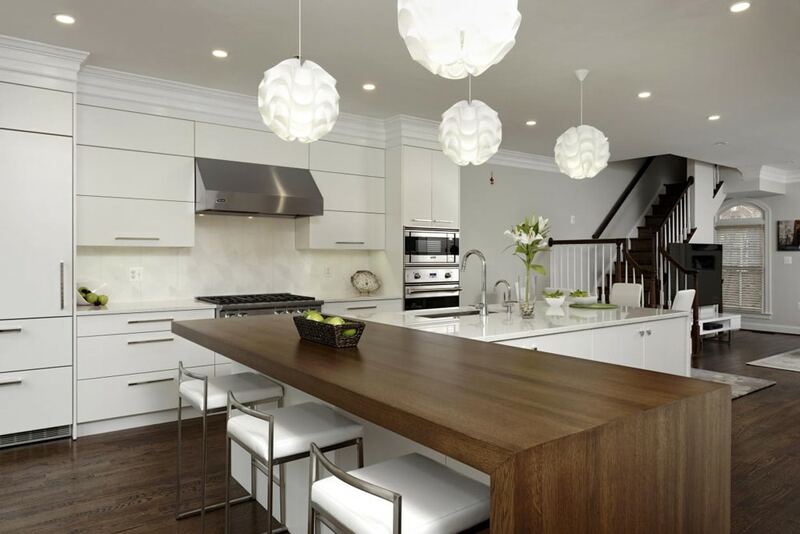 This contemporary kitchen combines white cabinets offset by dark wood furniture. 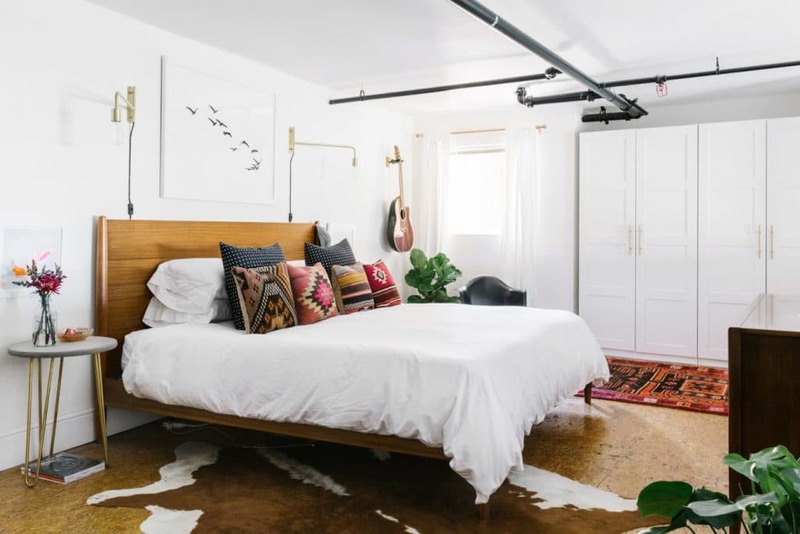 Red accents adds pops of color to the otherwise neutral design. 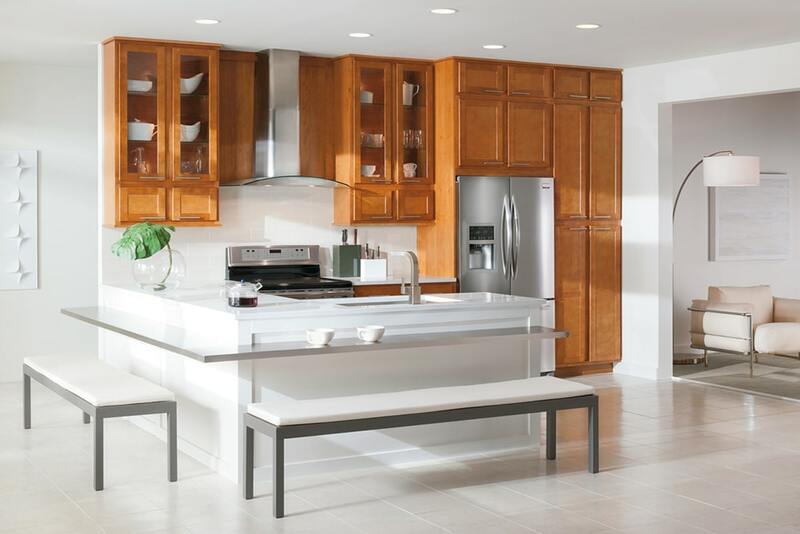 Nothing makes a kitchen feel more modern than panel cabinets. 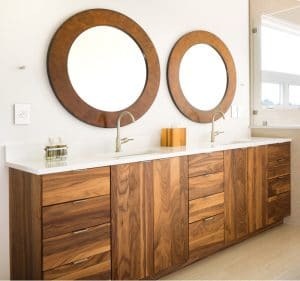 This simple but luxurious design pairs light wood with granite counters and walls. 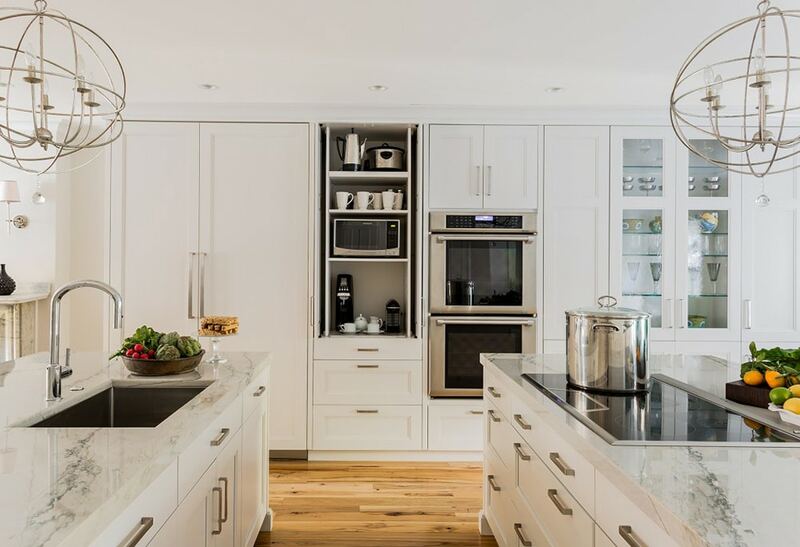 Custom cabinetry features include floor-to-ceiling shelving, a bar and a wine rack in the island. 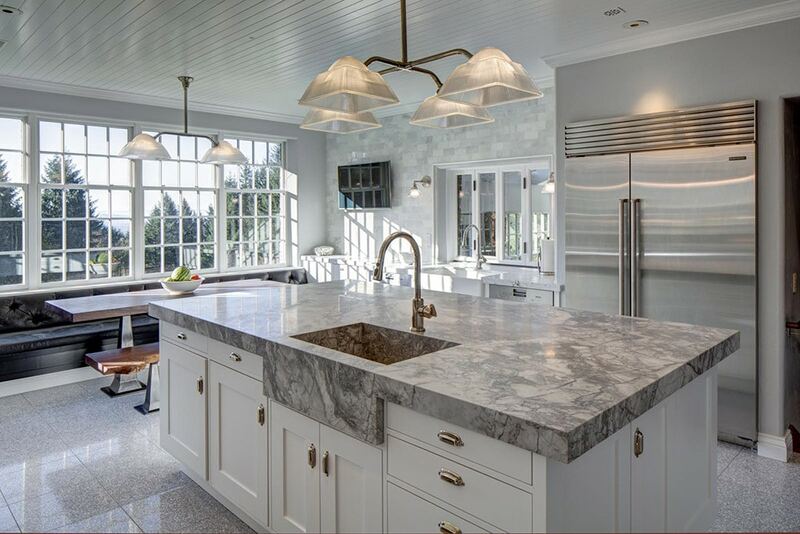 Gray kitchen cabinets bring out the veining in the granite countertops and backsplash. 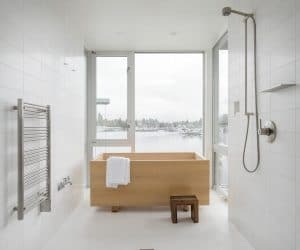 A waterfall leg on the island adds detail to the otherwise minimal design.